Android GPS apps have developed a lot in the past few years, thus there are countless free or paid programs available for download, to be later used as navigation software. 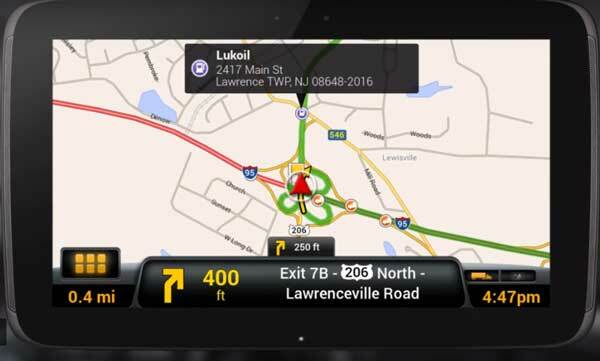 Truck drivers have as well started using Android navigation apps. Spending a lot of time on the road, they acquired Android tablets that provide multimedia experience (movies, music), internet connectivity, and serving as a replacement for the obsolete navigation system. First thing first – you need to use your smartphone or buy an Android Gps to install a truck app. If you have an old smartphone or tablet then you’re set. If you don’t have one, you need to buy one. I suggest you check this link were I made a selection of the best Android tablets on which you can install Android Truck software. Ofcourse, a tablet can be use for more than that – but navigation is a must. Smartphone – 1.8 Ghz processor , 2 or more Gb of Ram, 32 Gb internal memory, Gps enabled – better if it can connect to all major satellites networks ( Gps, Glonass, Galileo and Beidou). Android GPS – 7 inch, 1 Gb RAM, 16 Gb storage, good brightness, minim resolution 800 x 480. Check our top navigation devices for truck drivers here – Best Truck Gps. Although it doesn’t run specifically in truck mode, this app is extremely useful for finding addresses and viewing them on the map. Google Maps is one of the most updated apps and features real time traffic data, being of great help for professional drivers. Many use Google Maps along with another GPS app installed on the same Android tablet. Once Google Maps found the desired address, coordinates can be sent to a truck mode based app to develop a route. The only drawback is that Google Maps needs mobile data connection which sometimes is not an option for truck drivers. Still, Google Maps remains the mother of all gps apps offering the best routing available and live traffic for every route we chose. Also, this app has the biggest collection of POI’s – from industrial areas to truck parking lots and more. How to use Google Maps as a Truck Navigation App – read full guide here. This app is one of the most popular apps used by professional drivers across Europe. iGO NextGen comes with everything a truck driver needs – custom routes for trucks, truck restrictions based on particular settings by driver, waiting times, traffic data and online search. It works best with Google Maps if needed for some locations you don’t find on preinstalled maps. supports various skins or themes – you can add buttons, remove features and more. We advice you to use HERE maps 2018 which are the most reliable maps for iGO Truck ( our opinion). The app lists various restrictions and alerts for drivers, supports waiting times, adding intermediary points and provides multiple alternative routes for the same destination. Truck mode offers the possibility to add your truck’s parameters in order to better generate a route. iGO Nextgen Truck is a great app but it also has some problems. The settings are somehow hard to access, specially those which are truck related. Also it does have an online search for finding your addresses, but search results are nothing when comparing it with Google Maps for example. Very popular on US and Europe, this is yet another great app for professional drivers. The app scores high in terms of live traffic data feed, allowing drivers to avoid roadblocks or other issues during travel. The latter requires a stable internet connection. It comes with multiple truck settings and generated routes are very close to reality. Frequent updates maintain a bug-free app. Copilot Truck Gps helps you save money due to fuel savings plus reduce out-of-route costs and deliver your load on time. Also, you can create custom truck profiles and easily switch between them depending on the vehicle your driving. As a downside, some users report that Copilot sometimes has a problem in finding some addresses. To address this, you could use Google Maps to find a specific address and then send it to Copilot Truck Gps to generate an optimal lorry route. Read this tutorial on how to send Google locations to your truck gps app. Copilot costs 150 Usd for US and Canada and works on most Android smartphones or tablets. They have an iOS version at the same price. To take full advantage of this app, you need an 7 inch tablet at least. Smaller screens can make this app difficult to use as it shows a lot of info on the main interface. Sygic is our last app on the list. Although the last mentioned here, it doesn’t make it any less useful. We are talking about an Android App that features a solid build and has some time since it was released and matured as one of the most used application for truck navigation. It works in offline mode and allows the driver to download just the maps he actually needs. Just like iGO, it uses HERE maps, providing some of the best route computing algorithms for truck mode. Sygic Truck integrates Google Search for POI (points of interest), thus search accuracy is superior and of high use for professional drivers. 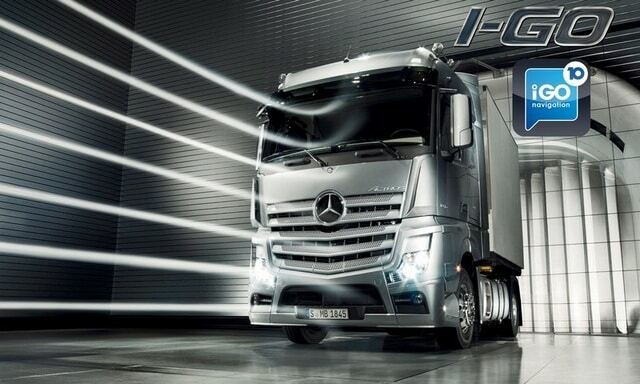 Spoken voice instructions for truck drivers with road indication and lane assist. This application has complex truck settings which allows it to generate optimal trajectories depending on truck size or load type. some routes are generated without considering all the restrictions that should be active depending on the dimensions of the truck. Sygic Truck costs 79,99 euros per year, not quite a bargain but a must if you want a truck gps app which you can rely on. This app works both online and offline. 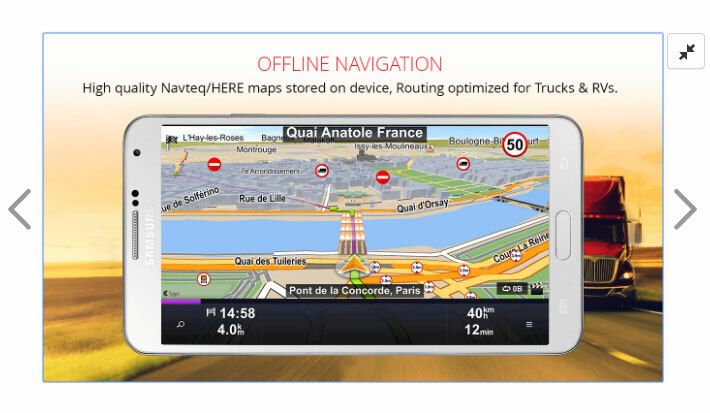 For offline mode you must store the maps in the internal memory of your smartphone or tablet. 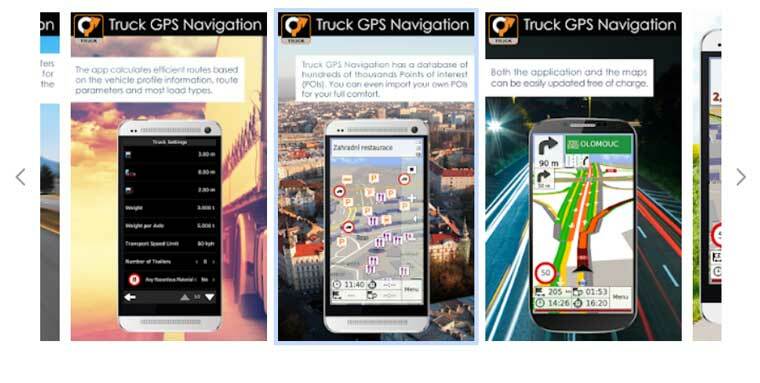 Truck Gps Navigation by Aponia has a 4 star rating from 12000 users who downloaded and used this app. It allows you to choose your own driving profile based on length, height, width, weight, max. axle load, and whether you are carrying hazardous goods. As a truck driver, these settings are the most important for a safe and efficient route. Maps are accurate and restrictions are constantly updated. Some users reported this app crashes without reason from time to time. Also, the after-sale support is close to nothing, so if you need help with this application, you could wait a long time to get an answer. Waze is a must for every trucker who wants to be warned about potential hazards on the route. Waze is not a truck gps app, but is very usefull as it has some unique features which you can’t find on other gps apps. This free routing app gives truck drivers a realistic view of road reality – from road blockage to dead animals on the road. Waze is a social application that allows you to share the dangers of traffic as well as the optimal routes for the truck. Basically, add your co-workers to Waze and they can share with you the most up-to-date road data and optimized routes they have already traveled. Thus, the truck driver can adjust his route according to the events displayed by the Waze application. 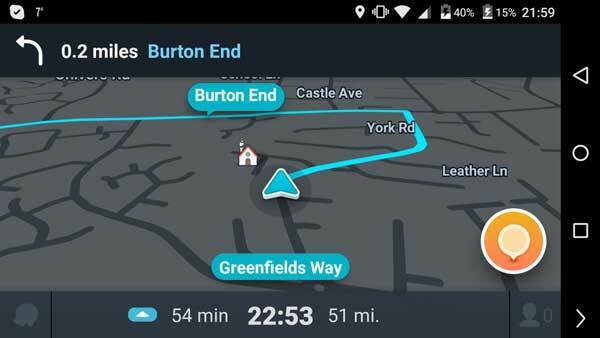 Waze is an indispensable friend and you must have it installed on your smartphone or tablet. Although this application is not very successful on the navigation side because it does not create optimal driving routes, it is useful for the real-time alerts it offers with the users on the road. My suggestion is to use Waze in background and another Android truck navigation app for step by step navigation. While your truck gps app is showing the route to follow, Waze will warn you at the right time about road dangers or police checkpoints. Have you used other apps that should find their place in these standings? We’re welcoming your suggestions in the comments section.